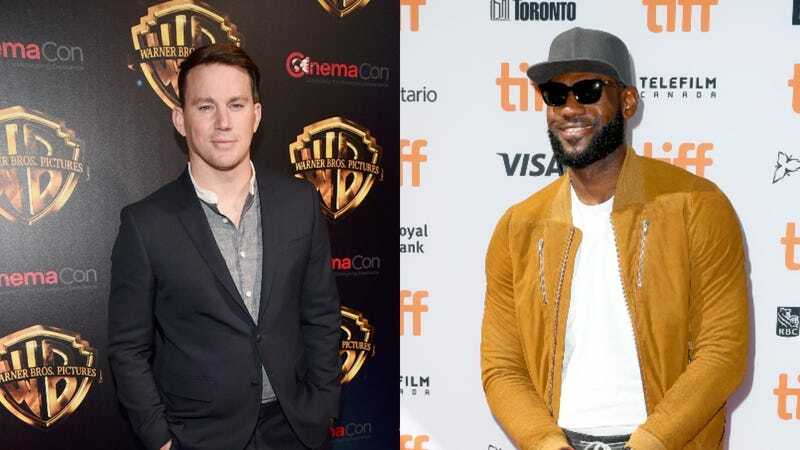 LeBron James and Channing Tatum are the sort of guys who seem really good at a lot of things and at least medium-good at literally everything else, and now they’re going to combine their powers to make Public Enemy, a new action-comedy film from New Line and their respective production companies (SpringHill Entertainment and Free Association). That comes from The Hollywood Reporter, which says the movie is a “subversive” look at “the speed of media in the current landscape.” That doesn’t make it sound very much like an action-comedy or a movie that would feature LeBron James and Channing Tatum, but it’s worth noting that the Hollywood Reporter doesn’t explicitly say that the two of them will be starring in it. It would be a wasted opportunity if they don’t, but it’s hard to really determine if it’s the right choice without knowing more about the movie.